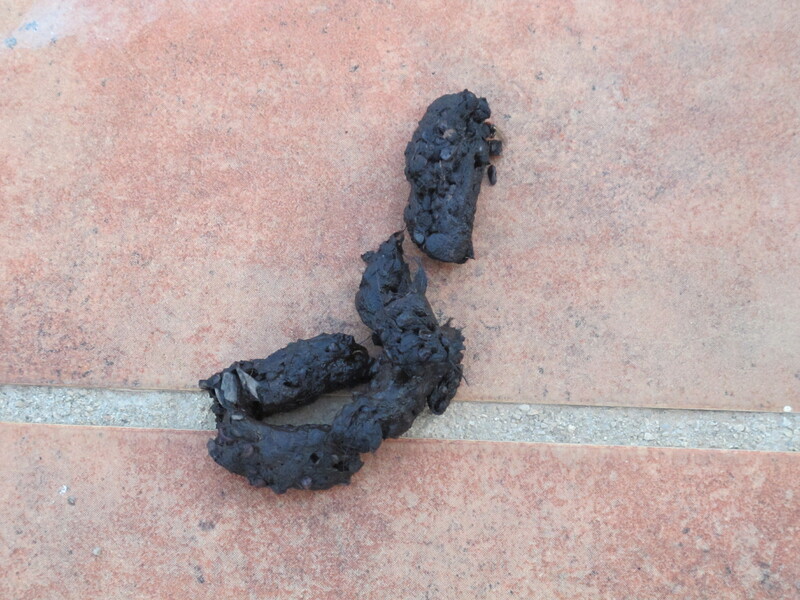 Regular readers will be aware of our continuing duel with the mysterious pooing animal. 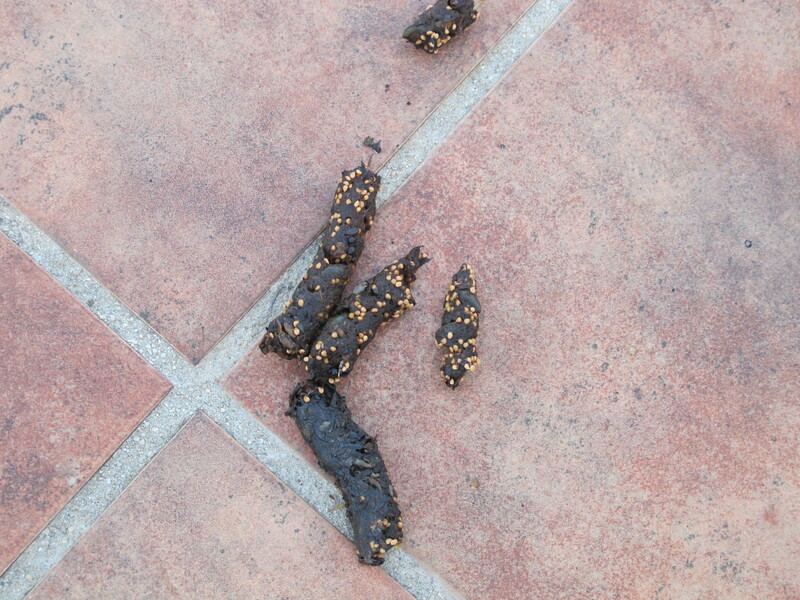 As the seasons change, the animal continues to leave us gifts of poo. We had hoped that, as the colder weather drew in, it would seek more clement weather below 500m but that has not happened. 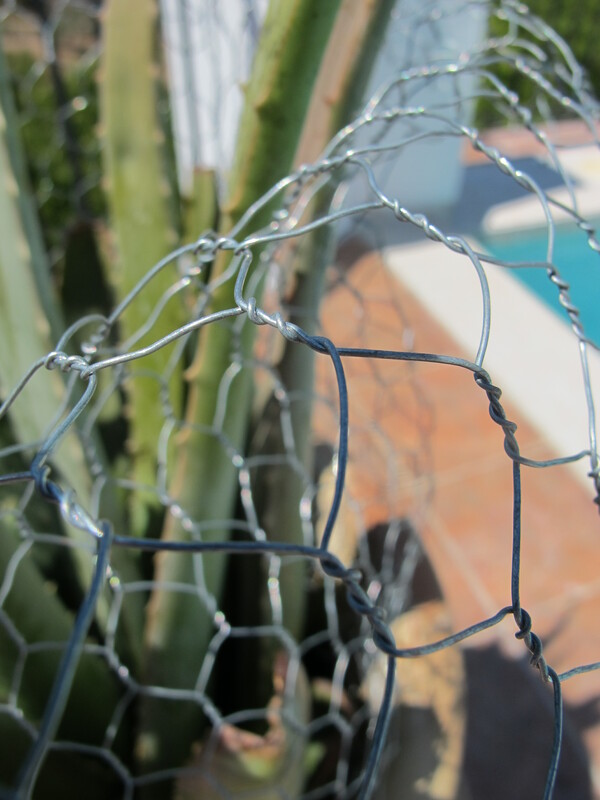 So we have been forced to take more evasive action, this time with chicken wire. Indeed we are not sure if we have two separate animals visiting us, as the poo gifts do vary between being figgy and non-figgy. Perhaps it is one animal with a varied diet? 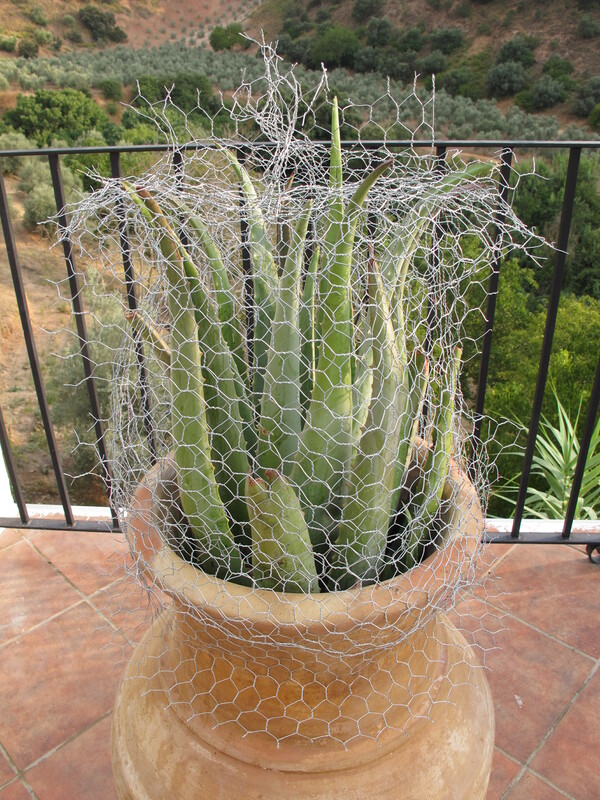 The aloe vera in the animal’s chosen poo pot [below] seemed to be the only thing benefitting by the relationship, the poo substituting for fertiliser. 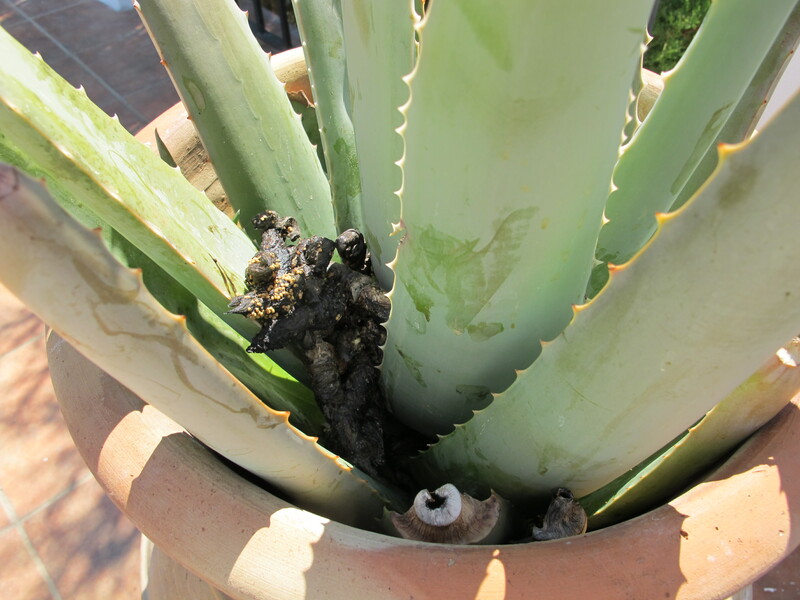 The plant is shooting up on account of the fact that clearing poo out from between the aloe vera’s teeth is a bit hit-and-miss. So D has installed a new chicken wire arrangement involving a skirt and an intricate crown. Did it work? 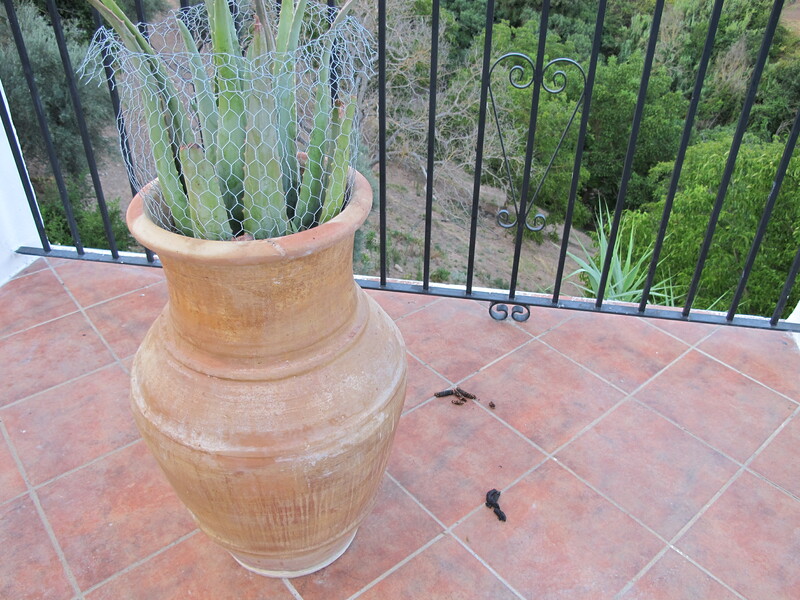 Sort of: the animal now leaves its gifts not in the plant pot but beside it. Are we reinforcing the animal’s habit by not moving the pot? He is marking his territory, which just happens to include us. Pablo has offered us his copeta [this is andaluz speak for shotgun, see below] to tackle the issue once and for all, but we are reluctant to do this. The animal is not harming us and is just doing his thing, it is not his problem that the ground he poos on is next to our swimming pool. So we will not kill it, either but shooting or poisoning. Pablo, I know, thinks we are lily-livered townies. He has a very matter-of-fact approach to such countryside issues. Postscript: we are holding our breath but think we may have solved the issue. It is clear that the animal is marking his territory, so in an effort to remove his scent we have cleaned the area with the pressure washer and sprayed it with anti-gato y perro spray [get-off spray for cats and dogs]. This didn’t work, but a bleach solution appears to have done the trick. This is the ideal option for us: no copeta, no poison, and an animal still free to roam around our land. Just pooing somewhere else! This entry was posted in Just Living, Nature and tagged Andalucia, living abroad, nature, Sandra Danby, Spain, travel, wildlife on December 12, 2013 by sandradan1. Can you perhaps shoot it …. with a camera??? We want to know what it is!!!!! I’m guessing Paco won’t lend himself to such namby-pamby pursuits, will he…? Bravo for you for coming up with a humane solution to the poo problem. Any idea what the animal is? Some sort of cat or coyote? Perhaps you could catch it in a trap? We have fox cubs leaving sticky presents by the back door and that looks similar to me. Not sure how it would climb up into the pot though? Oh, but stone martens are so cute! LOL. A post devoted to poo. I have similar problems. Mine are raccoons. They leave a mound of it on my patio and it drives me nuts. I have since bought a sling shot, but can’t catch them to send them on their way. Such a poo poo head story, as any three-year-old will tell you! I’m laughing all the way!